The Internal Revenue Service (IRS) has proposed new rules to increase the number of employers required to file tax information electronically with the IRS. The new rules would apply to Forms W-2, 1099, the Affordable Care Act (ACA)-related 1095-C and other information returns. Under current rules, employers who file 250 or more of the same forms under the same employer identification number (EIN) are required to file those forms electronically unless they obtain a waiver of the e-filing requirement from the IRS. Example: For 2017, ABC Company has a self-insured medical plan. ABC is considered an applicable large employer (ALE) subject to the ACA’s employer mandate. ABC had a total of 200 employees who were considered full-time under the ACA, and ABC filed a Form 1095-C with the IRS for each full-time employee. It also issued 300 Forms W-2 for calendar year 2017 (in January 2018). For 2017, ABC must electronically file copies of the W-2 with IRS because it filed 250 or more of those forms. Because it filed fewer than 250 Forms 1095-C, ABC can issue those to IRS on paper if it so desires. Current IRS regulations permit this because the 250 threshold is separately determined with respect to each tax form. The IRS has proposed that for forms filed in 2019 or later years, all information returns, regardless of type, would be considered to determine if the 250-form threshold is exceeded. In addition, if an employer was required to file forms electronically with the IRS, then any corrected forms would also have to be filed electronically. Lockton comment: In the example above, let’s assume ABC is filing its tax forms in January 2019 for the 2018 year. ABC would file a total of 500 tax forms (300 W-2s and 200 Forms 1095-C). Because it would file more than 250 returns with IRS, it must file all returns electronically under the IRS proposal. What about the waiver process? The proposal would still allow employers filing 250 or more total forms to apply for a waiver from the electronic filing obligation by completing and submitting Form 8508, “Request for Waiver from Filing Information Returns Electronically.” The request must be submitted at least 45 days prior to the filing deadline. Lockton comment: Approval of the waiver is not automatic. If the waiver is granted, the employer would file its forms on paper, which in most or all cases means the filing deadline is earlier. If the waiver is not granted and an employer files returns on paper, a potential penalty may apply of up to $530 per return. Would the proposal change the EIN-by-EIN determination of the 250-form threshold? No. 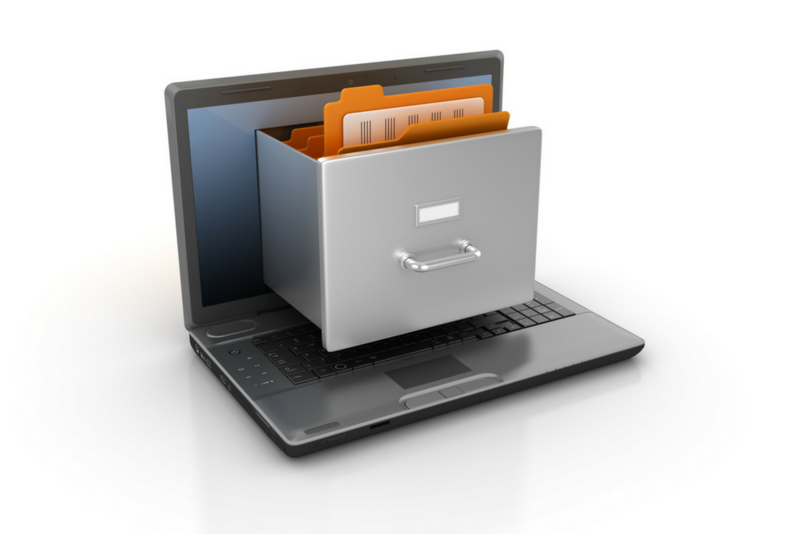 The electronic filing requirement would still be determined on an EIN-by-EIN basis. Thus, even if an employer is part of a controlled group of companies filing more than 250 of the same form in the aggregate, the company would not be required to file its forms electronically as long as it’s not filing at least 250 of the same form. What about the copies supplied to employees and others? Do not confuse filing with the IRS with providing employees with copies of tax forms, such as the W-2 or Form 1095-C. Generally, an employer must provide a paper copy of the form to employees unless they have agreed to receive the information electronically. The IRS will accept comments on its proposal through July 30, 2018. If finalized, only the smallest of employers would be exempt from the electronic filing requirement. Because of advancements in technology, the IRS believes the efficiencies of electronic filing outweigh the administrative burden on employers. Concerning the consideration to require more forms to be filed electronically, I mention the review I had of the software requirements for the 1095c to be filed electronically would be a great burden on the IT, computer department. An employer uses an outside service for payroll processing so its 175 W-2’s are electronically filed. This same employer internally prepares approx. 30 1099’s and 125 1095-C’s each year for its employees. This employer does not have access to electronic filing of these documents which under current rules means the forms can be mailed to IRS. Requiring an employer to electronically file all these forms puts undue financial hardship on it because outsourcing these tasks costs money – a payroll processing company charges $2.00 per employee per payday (125 x $2.00 x 26 paydays = $6,500 per year). For those employers who are struggling to meet payroll, this unnecessary expense is a foolish waste of money. With the current accounting software there is NO way to electronically file 1099’s.